Custom home design has been a popular trend. Some of the designs that are being done however, are making a wave through the home buying communities. With many ways to design a home, it is no wonder so many people are planning out their dream homes and then making them happen using a professional home building contractor. Here are some of the latest trends you can be aware of when the time comes to build your own home! Tiny houses have hit the nation and so many want this small space that they can take with them wherever they decide to go. Additionally, these homes are upscale and do not require much upkeep, which is something that a lot of people want and like. Many people are deciding to become more self-sufficient, meaning that these tiny houses are perfect for them. Having large, open floor plans where you can see all the rooms of the home when you walk in is a must. With many people opting for this floor plan, you will notice that the inside of the home during a build does not require too much work, as there are less and less walls being placed inside the home. Many homeowners are opting for more bathrooms than ever. This is a great thing to think about, since you want to make sure that everyone has access to a bathroom when they need one. In the past, one bathroom in a home with 3 or 4 bedrooms was not uncommon. Now, there seems to be a bathroom needed for every room in the house. Consider the many custom designs that you can do when the time comes to have your home built and make the most of them. They’re perfect for those that want to expand their creativity and do something a bit different. 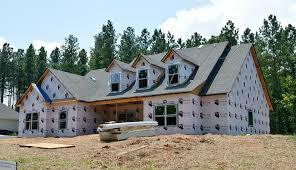 Contractors Today has connections with the best home building contractors currently working in your area. Fill out our form below or give us a call to find out more about each of them!